Carol Danvers has had as many interpretations of how she became a superhero as she's had superhero mantles themselves — but the first trailer for her solo movie was not the only new take on it we got this week. Her latest comic series just made us question everything we thought we knew about her origins. 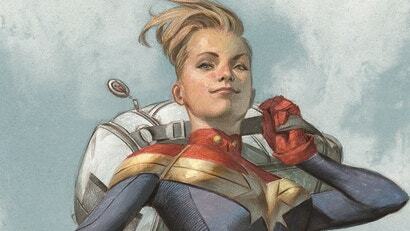 Before she was Captain Marvel, Carol Danvers had a storied (and occasionally pretty damn weird) life, in the military and as Ms Marvel. Now, as part of Marvel's latest comics relaunch, she's going to revisit her roots... and find that some things may not be as they have seemed.